Syed Razak said as far as the housing needs of Malaysians were concerned, they were now worse off than the Hongkies and Singaporeans. “Both state and federal governments have been wantonly approving luxury property developments in cities with little control. “Young Malaysians and couples who work in cities like Geoge Town (Penang), the Klang Valley and Johor Baru are unable to afford to buy property. “Not just because the price tags are too high. They don’t command the basic salary to survive or meet the requirements of financial lenders,” he added. Syed Razak, who is Gerakan’s nominee to contest N.37 Bukit Lanjan in the coming 14th General Election (GE14), said the income of the majority of Malaysians had not rose in tandem with the rate of inflation over the past decades. 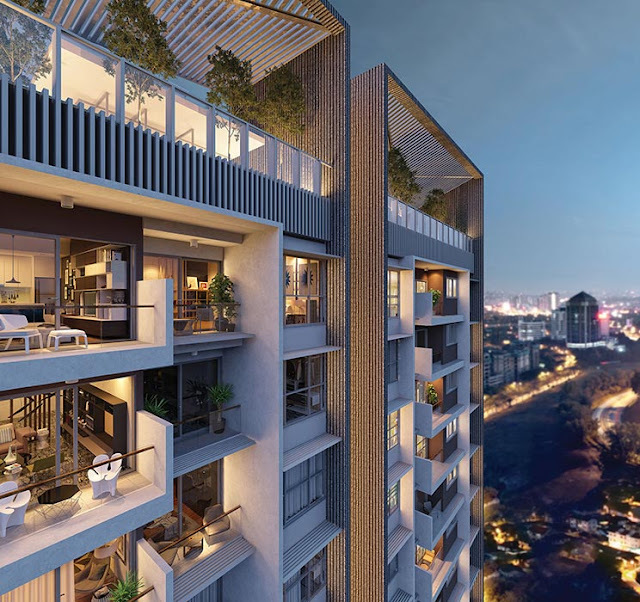 “This is one of the main reasons why Bank Negara Malaysia (BNM) had recently warned of a growing property glut, especially in the luxury property sector. “And, the time will come when speculators will suffer severe losses when they are forced to sell because they are unable to service their loans,” he added. Syed Razak urged the federal government to quickly tighten the approval of luxury property projects in the city and urban areas “before it is too late”. “Most property developers only want to make outrageous profits. They are not interested to ensure Malaysians can afford their properties because they are only aiming at the rich and foreigners. “How long more can this state of affairs continue? The governments must now ensure that the income of Malaysians grows in tandem with the inflation rate. “And, they must also compel developers to allocate a percentage of their projects to affordable housing as a condition for approval,” he said. 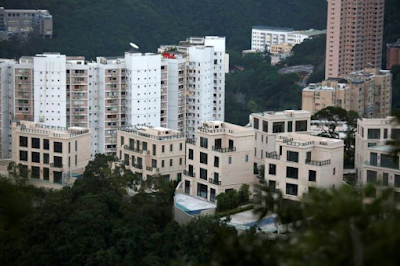 HONG KONG: Hong Kong's private home prices broke historic records for the 13th straight month in November, with the ascent showing no immediate signs of ending and analysts expecting the rise to continue into next year. Private home prices rose by 1.08 percent in November, marking the fastest pace of growth in six months, according to data compiled by the Rating and Valuation Department released on Friday. The index, which began its climb in April 2016, surged 13.1 percent year-on-year. The city's flats are ranked the second most expensive in the world after Monaco, according to data from property consultancy Knight Frank, which shows US$1 million would only buy 200 square feet of prime property in Hong Kong, as opposed to 270 square feet in New York or 320 in London. "Property prices are high and it's unaffordable for most ordinary people," said Thomas Lam, a senior director with Knight Frank. "But right now, I cannot see any major factor that will drastically bring down property prices in the short run." Hong Kong leader Carrie Lam said during an interview last week the government "has no ways to curb property prices," adding while she would do her best to seek more land to boost supply, she has never promised to turn around the price rise. Major property consultancies expect Hong Kong's housing market to remain feverish in the coming year and climb a further five to 20 percent. The government has tried to rein in prices with additional taxes and regulations, which came on top of the de facto central bank's eight rounds of mortgage tightenings since 2009. However, JLL Head of Capital Markets Joseph Tsang said the net effect of measures like taxes on second homes has been to discourage buying and selling in the city's secondary market. "I think their intention is good... but they're using the wrong medicine," Tsang said. "After eight years your fever is still going on, and they just don't want to admit they gave you the wrong medicine." A government report released earlier this month said it would be a "huge challenge" to meet its 10-year housing supply target of 460,000 units, which includes 280,000 public housing units. The quantity of land it has identified for public housing construction lags behind the target by about 15 percent. "There is no easy or painless option to increase or expedite land supply, especially in the short run," it stated.- Reuters"